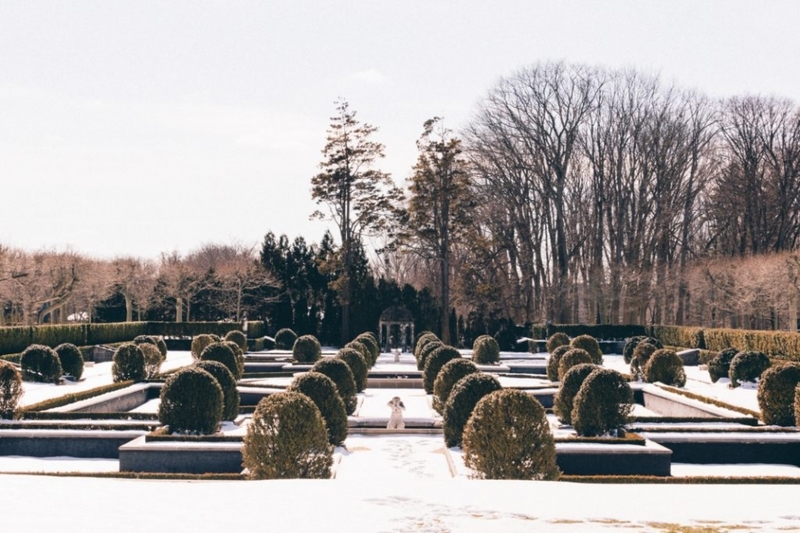 Teesha and Levi were married last February 16th, with a ceremony and reception at Oheka Castle in Huntington, New York. As a Boston wedding photographer, I love how geographically it’s easy for me to shoot weddings in different venues all around New England. 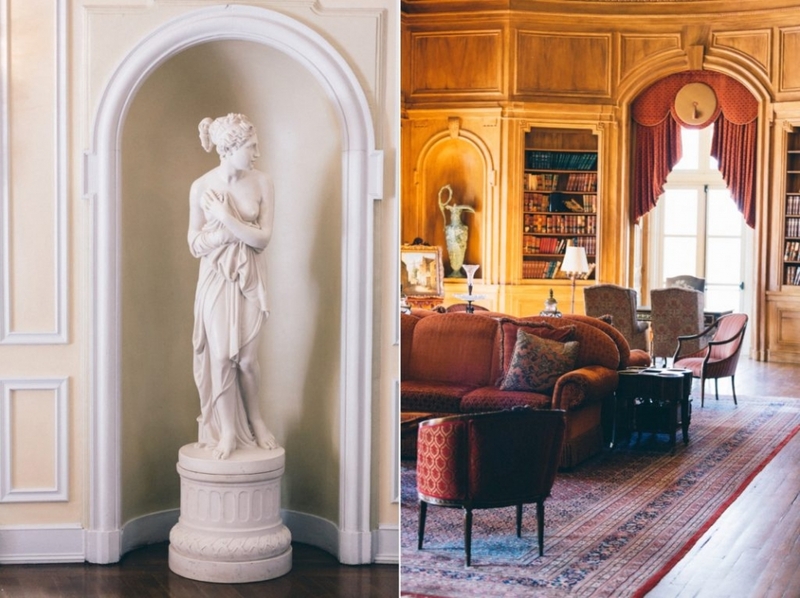 That’s how I found myself capturing Teesha and Levi’s Long Island wedding at the iconic Oheka Castle. This castle is a stunning wedding venue, with simply breathtaking places to photograph. It was made even more amazing by the décor for Teesha and Levi’s wedding day. Everything from the seating chart etched onto an ornate Victorian mirror to the custom lighting was simply spectacular. I never thought I’d get to shoot a wedding like this. It was deserving of royalty. Whenever possible, I like to bounce back and forth between the bride and groom before they come together for a wedding, but that wasn’t the case for this couple. Thankfully, my trusted sidekick, Kathryn, was able to help me out, shooting with Levi and his groomsmen after she helped me shoot all details with Teesha as she was getting ready. While I wasn’t able to spend getting ready time with Levi, that meant I was able to spend plenty of time and attention on Teesha—and I’m glad I did. After all, some of my favorite images of the day came from moments with Teesha. She was such a glamorous bride. Before the events of the day began, I got a great shot of her in the tub. She was enjoying a quiet moment of contemplation before the whirlwind of her wedding. And in another amazing image, Teesha sat on the stairs and showed off some leg (and her killer blue heels). It was a fun shot and not at all typical—which is why I loved photographing her. This bride kept me on my toes as a wedding photographer with not one, not two, but three different wedding gowns. She wore a more traditional dress for the ceremony, a runway-worthy jumpsuit for the middle of the reception, and a long-sleeved black gown for the end of the reception. 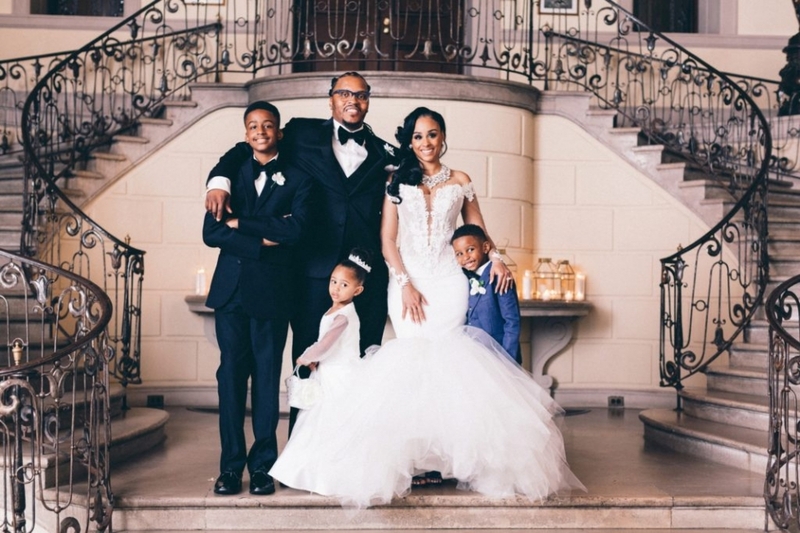 Her mid-reception dress (designed by Brittany DeShields) was featured on Huffington Post Relationships‘ “16 Fierce Wedding Jumpsuits For Brides Who Don’t Do Dresses“. I’m telling you—she looked like a queen, worthy of the castle we were photographing in. I loved seeing everyone’s reactions to the dresses, too. Then there was the dancing—it was incredible! The soul trail line dancing was the best, and it really felt like everyone in the building was showing off on the dance floor. Teesha & Levi, thank you for letting me photograph the wedding of my dreams. Congratulations to both of you.